I expected the Rally to Restore Sanity and/or Fear yesterday to be crowded, but I had NO IDEA how crazy it would be. Early estimates have the attendance at over 200,000 people, which was flat-out shocking to me. And of course… with great events come great Foursquare badges. 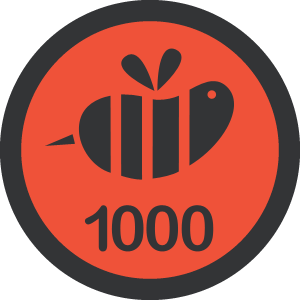 Super Duper Swarm: That 'Super Swarm' badge is for babies! 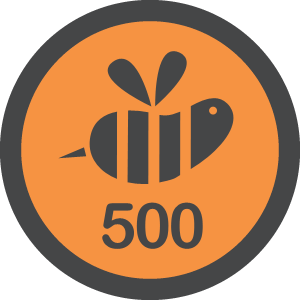 Welcome to the Super Duper Swarm Club - 500 people checked in at once! Epic Swarm: Wow! 1,000 foursquare users in the same location?!? According to our math, the world should implode right about now. For the record: Yes, I realize how ridiculous it is that I’m excited about new badges on Foursquare. It doesn’t take much to brighten my day, clearly. This entry was posted on Sunday, October 31st, 2010 at 9:59 am and is filed under Uncategorized. You can follow any responses to this entry through the RSS 2.0 feed. You can leave a response, or trackback from your own site.